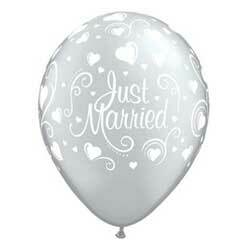 A great wedding gift for wine lovers. 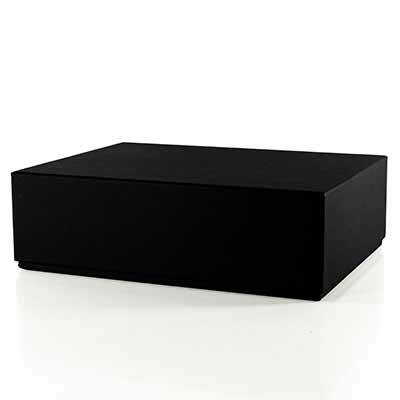 The high-quality box is very well suited for collecting personal wedding memories. 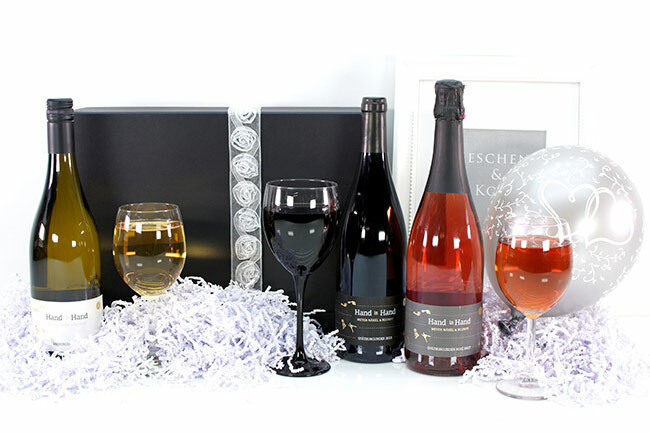 The wines and sparkling wine are excellent wines for nice evenings for two. 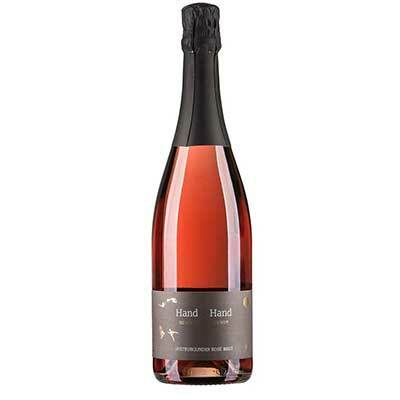 The hand in hand Spätburgunder Rose sparkling sparkle glows in a beautiful purple-pink luster. The mousse is firm and the vesicles are finely divided. Lush aromas of sweet and sour cherries, strawberries, green aromas and citrus notes inspire the connoisseur. On the palate then juicy, full-bodied, with finely mellow perlage and elegant notes of raspberry and blueberry. The bouquet is subtle and should therefore be explored more intensely, because here you will find pomegranates, cherries and cocoa accompanied by a soft mocha note. The fruit is also on the palate at its best and fills the palate with a lively acidity. The good balance, the fine tannins and the length, which leads to a reverberation with smoke and cherries complete this wine experience. 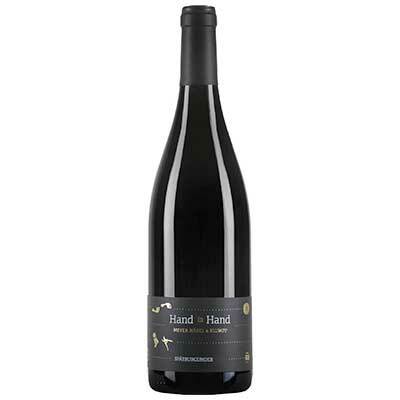 Fruity and intense, the wine smells of ripe yellow fruits (peach, apple, pear) with a touch of exoticism. Citrus nuances and light smoky notes make it refreshing and spicy. 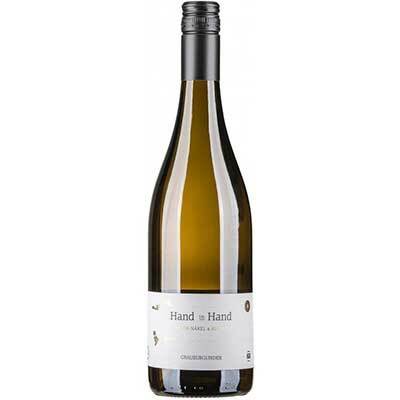 On the palate, it is round and soft as well as powerful and harmonious with a lively acid, a creamy melt and delicate, beautifully integrated facets of fruit and wood. A long finish.